MinnPost’s last-minute ad program is the focus of the sec ond issue of Solution Set, a new weekly report from The Lenfest Institute for Journalism and The Solutions Journalism Network. 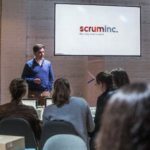 Each week in Solution Set we report on one neat thing a news outlet is undertaking and share lessons and best practices you can learn from and apply within your organization. 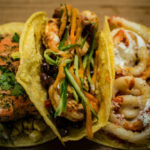 (You can catch up on last week’s report, on how to use tacos for journalism, here.) While this week’s issue focuses on ad sales, there are certainly lessons that can be learned from MinnPost that will be useful for those working in newsrooms or elsewhere. 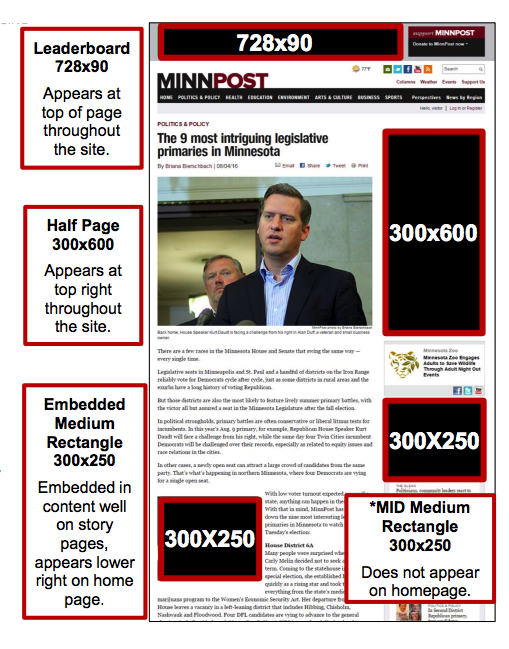 • The Challenge: The nonprofit MinnPost wanted to find a way to deal with its excess banner ad inventory without resorting to low-quality programmatic ads. • The Strategy: MinnPost sells its remaining ad inventory to small nonprofits with revenue less than $1 million at a 60 percent discount. • The Numbers: The last-minute ad program generates about $6,000 in revenue annually. • The Lessons: While MinnPost could make more running network ads, the last-minute ad program engenders goodwill with the local nonprofit community and offers its readers a more pleasant user experience. • The Future: MinnPost plans to continue to offer the last-minute ad program, and hopes to convert more of the last-minute advertisers to full-price customers. Launched in 2007, MinnPost is a nonprofit news site covering policy and politics in Minnesota. Much of the site’s revenue comes from membership donations and foundation support, but MinnPost also runs advertising on its site and in its newsletter. MinnPost sells ad slots at set rates on a weekly basis, so if you decide to advertise with the site your ad will run Monday-Sunday and you’re guaranteed at least 35,000 impressions. “It made more sense for our advertisers, and it’s really simple: If they want to buy a half-page position they can pick the week or multiple weeks they want it to run. They can see how much it costs and we don’t deviate from it,” Brian Perry, MinnPost’s advertising operations director, told me. Often times, however, MinnPost will have excess ad inventory. For a time, in order to generate additional revenue with that space, the site would run third-party network ads. MinnPost came to realize though that those ads tended to be annoying, slow down the site, and just generally harmed its reputation. As MinnPost’s unease with the network banner ads increased, MinnPost co-founder Laurie Kramer made a suggestion: What if the site held a fire sale for any unsold inventory for the upcoming week? MinnPost ran with the idea, and in 2012 began promoting it in-house to small nonprofits in the community. Their pitch: “If you’re a small nonprofit we’ve got a great deal for you,” Perry said. Nonprofits with less than $1 million in annual revenue are eligible to participate in the program. Any group that wants to potentially participate has to sign up for an email list on MinnPost’s site. Anytime there’s availability for the following week, Perry will send out an email to the list on Thursday at 11 a.m. If there’s no excess ad space, Perry won’t send out an email. The fall months tend to be MinnPost’s busiest ad season, so it’s more likely that there’s extra ad space other times of the year. Perry estimated that MinnPost has last-minute availability one or two weeks per month. The discounted ad positions are sold on a first-come, first-served basis, and the organizations that buy the ad space must share their creative and the URL of the website they want to link to with MinnPost by noon on Friday. MinnPost encourages potential last-minute clients to keep their ads on file with the site so they don’t have to worry about missing the deadlines. The last-minute ads are sold at a 60 percent discount, and they cost between $150 and $330 depending on the ad placement and time of year. The program generated about $6,000 in revenue for MinnPost in 2017. It made about the same amount in 2016 as well. In comparison, Perry said, the site made at most $20,000 from the network ads it used to run on its site. MinnPost made $435,500 in sponsorship and advertising revenue in 2017, Perry said. About 90 nonprofits have signed up to potentially participate in the last-minute ad program. • More than dollars and cents: While MinnPost would certainly be able to make more money from running network ads, Perry said the extra cash isn’t worth the tradeoffs. Even though MinnPost has decided to focus on an ad product that will generate less revenue, it’s decided that it’s more important to stick to its values and that the last-minute ads have more of a long-term benefit. MinnPost is fortunate that it’s in a position with stable and diverse revenue streams that it’s able to easily make this decision. However, while it’s easy to take the route that will immediately help the bottom line, it’s worth considering how the decision aligns with your mission and how your audience will respond. Short-sighted decisions that immediately prioritize revenue to the detriment of the user-experience can potentially make things worse down the road — especially as news organizations are becoming increasingly reliant on direct reader support through membership and subscriptions. • Play the long game: The last-minute ad program has helped MinnPost develop lasting relationships with organizations and individuals in the local nonprofit community. Nonprofit organizations are a key advertising constituency for the site, and the relationships the site has made as a result of these discounted ads have helped cultivate full-price customers. • Don’t overthink it: MinnPost tries not to overcomplicate things. The emails it sends out to potential last-minute advertisers are just run through a MailChimp list. MinnPost also has set, non-negotiable, ad rates for both its full-priced and discounted ads. As a result, it’s able to just share the information with a potential client and they can make a decision whether or not they want to advertise. MinnPost has a small staff — there are just three people focused on advertising — so keeping things as streamlined as possible is critical for it to function. “Basically it’s a super simple system,” Perry said. The program has been a success for MinnPost and it has no plans to stop offering last-minute ads. Though, ultimately, it wishes it didn’t need to sell the last-minute ads because it was selling out of its full-priced ads. • To learn more about MinnPost and how it’s thinking about nonprofit journalism you should check out this 2016 Nieman Lab Q&A with MinnPost founder Joel Kramer. • One of the reasons MinnPost is able to support the last-minute ads is because it has diverse revenue streams. Other nonprofits and local news organizations are similarly trying to find multiple ways to support themselves. Last fall CJR wrote about the California nonprofit CalMatter’s attempts to diversify its revenue. • Meanwhile, some local publishers are ignoring display advertising revenue, according to a story in Digiday last week. I got into a super interesting conversation on Twitter with Jesse Holcomb, a journalism professor at Calvin College, and Jay Allred, publisher of the Richland Source in Ohio, about the story’s thesis. You can find that conversation here, here, and here. • Additional ideas for ways to successfully make money can be found on Better News, a resource from the American Press Institute that’s part of the Knight-Lenfest Newsroom Initiative. What do you make of MinnPost’s last-minute ad program? Is your news organization taking an interesting approach to revenue generation? Want to say hi? Lead photo by Anthony Auston used under a Creative Commons license.